The adventures of 26 lively letters who can make words come to life. Beatboxing, rock, opera, disco: the Alphablocks sing their letter sounds freestyle from A to Z.
Browse content similar to On. Check below for episodes and series from the same categories and more! -Uh, uh, uh, uh, uuuuuh. Uh, uh, uh, uh, uh, uh, uuuuuh. Oh, oh, oh. Oh, oh, oh, oh-oh. Sss. Ssss, sss, sss, sss. Wuh, wuh, wuh-wuh-wuh. Wuh, wuh, wuh-wuh-wuh. The adventures of 26 lively letters who can make words come to life by holding hands. Beatboxing, rock, opera, disco: the Alphablocks sing their letter sounds freestyle from A to Z in an alphabetical musical extravaganza. 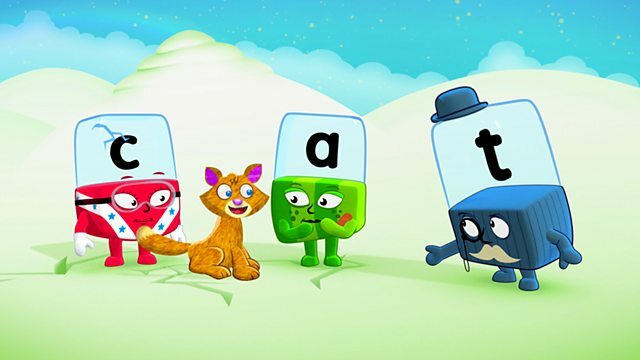 This episode has fun with the whole alphabet and their letter sounds.